Eating & Drinking in Westbourne. A slight change of tack today. There are plenty of places for eating & drinking in Westbourne, not all of them in the main shopping area. We shall be taking a quick look at what is around, particularly as June is Westbourne’s “Foodie Heaven”. To start with, there are the three pubs – all popular. Perfect for a pint, and traditional food. The Westbourne is part of the Green King empire. The Libertine is independent, and specialises in pizzas as well as quality pub food. The Porterhouse belongs to the local Ringwood Brewery, serving real ales and food. There are a number of café bars which serve food and alcohol offering perhaps a more “continental” eating & drinking experience. But, of course, there is far more than just this! If you fancy a coffee (or tea), there are a surprising number of suitable outlets to satisfy you. The national chains, of course, have a presence. However, look a little further, and there are plenty of more artisan delights awaiting you. A quick stroll around the main shopping area will find you several possibilities, and a range of delicacies to snack on! Of course, no shopping area would be complete without its fish & chip shop, and Westbourne is no exception. Chez Fred is recently extended, allowing for both dining in and takeaway. Indian restaurants and takeaways are plentiful, offering competition and choice, or there is a Chinese takeaway if you prefer. A brace of cafés in the arcade give you the opportunity of eating “outside inside”, as they have seating outside the premises, but still under the cover of the arcade itself. So, if you fancy eating & drinking out, then Westbourne is definitely the place to go. Today’s blog is, if you will pardon the expression, simply to whet your appetite. In the near future, we will take a more in-depth look at what is available. 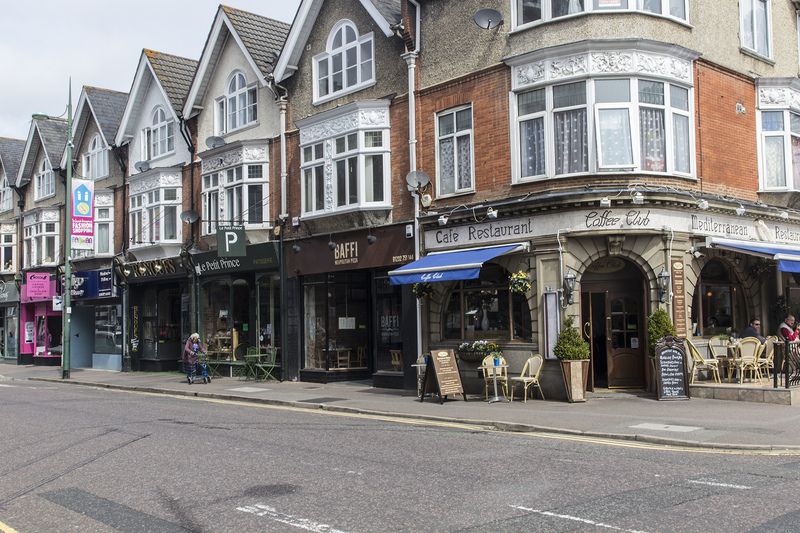 In the meantime, if you have experienced any of the food and drink in Westbourne, then please do comment on this article and let us know what you think! For further information on “Foodie Heaven”, please click on this link.